General conditions for registration and participation in the event Effective Stress Management. Effective Stress Management (referred to above as the “event”). – “Participant” – everyone declared attending the event via an on-line registration form, by email or telephone call. Please familiarize yourself with these Terms and Conditions before making your registration and payment on it. They represent a contract between you and “To The Top” EOOD. T.2) Payment, prices and confirmation of participation.The quoted prices in the so-called “registration form” are VAT inclusive with rate applicable according to the VAT Act – 20%. The VAT is charged because the organizer is registered under the VAT Act. The participants have the opportunity to choose different payment methods allowed by the legislation of the Republic of Bulgaria, for which they will receive a tax invoice with VAT charged by “To The Top” EOOD. Once a confirmation of registration has been received, payment shall be made within 2 days or at a time specified by the organizer. Registration is considered valid only after a confirmed payment. T.3) The personal data and any information provided shall be kept for use only and explicitly for the needs of the event and the issue of tickets for participation. “To The Top” EOOD is obliged to strictly observe the Personal Data Protection Law of the Republic of Bulgaria and assumes responsibility for the protection of personal data with the care of the good trader. The participant provides the requested data and contact information voluntarily, aware of the responsibility of the organizer. “To The Top”EOOD reserves the right to use part of the data entered for statistical and marketing purposes related to the subject of activity of the company. T.4) Venue and presence – The event will be held on 8 February 2018. at Inter Expo Center on 147 Tsarigradsko Shosse Blvd. The presence of each participant is his/her personal responsibility and “To The Top” EOOD does not accept responsibility for the transportation, accommodation and other care accompanying the trip. In case of inability to participate, the Participant is obliged to notify “To The Top” Ltd. by email not later than 7 (seven) calendar days before the date of the event. In case the participant does not wish to provide his / her ticket to another visitor, he / she may use the equivalent of the fee paid for participation in another event organized by the Organizer. T.5) Limited liability by circumstances beyond the control of the organizer: “To The Top” EOOD is not responsible for the recovery of the amounts already paid to the Participants in cases of force majeure such as earthquake, natural disasters, war, threat of terrorist acts and other circumstances by reasons beyond the control of the Organizer that hinder the holding of the event. 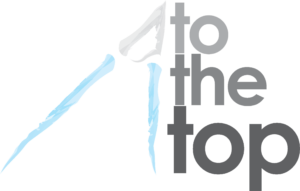 “To The Top” EOOD is not responsible for indirect or consequential losses due to the Participant’s participation in the event, injuries, lost / stolen items or other negative effects.